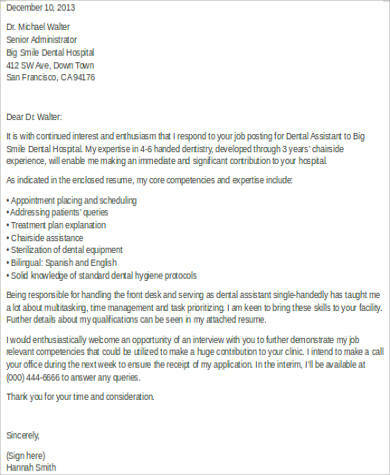 It will always be a good idea to pair your resume with a good old cover letter. These letters give more support to the details you have included in your resume. Cover letters also give you an opportunity to put your best foot forward and be able to catch the recruiter’s attention. 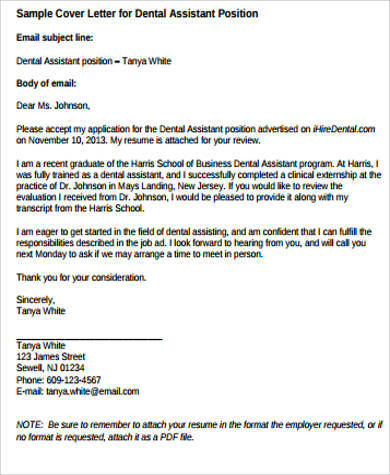 If you are applying for a dental assistant position, you have to make sure you emphasize in your cover letter all of the experiences and skills you have that would make you a qualified candidate. 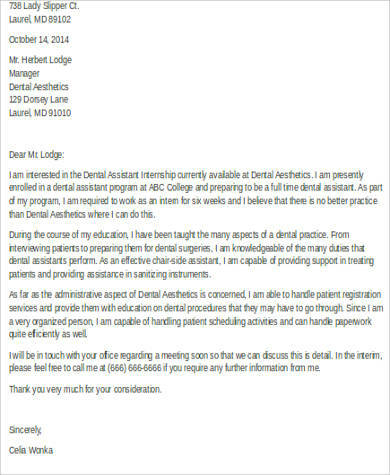 Check out all the Sample Cover Letters dedicated for dental assistant applicants that are available in this article. 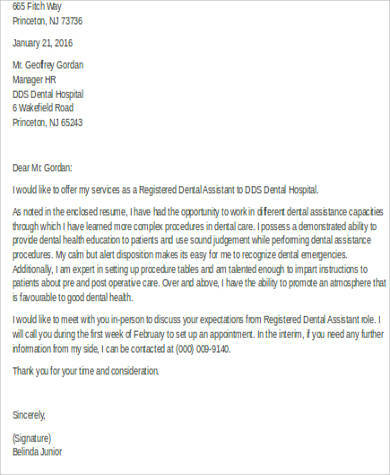 What Are the Duties and Responsibilities of a Dental Assistant? A dental assistant basically assists a dentist by preparing the room/s, patients, and materials, and assisting the dentist during procedures in compliance with the acts of the practice. You may also want to check out Sample Medical Assistant Cover Letters. 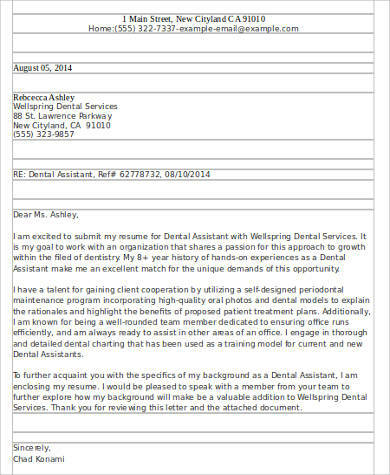 Why Use Sample Dental Assistant Cover Letters? Resumes may showcase all the credentials of a qualified candidate, but pairing it with an excellently written cover letter makes a big difference. It shows enthusiasm and gives the candidate a great chance to let the human resource officer know what his/her strong points are and what he/she can contribute to the company. 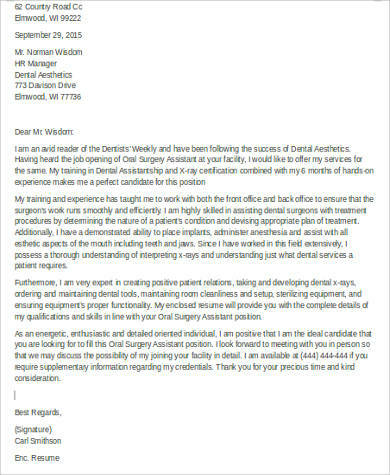 The dental assistant cover letter samples in this article can help you out when it comes to writing a cover letter that will highlight all of your strengths and credentials. 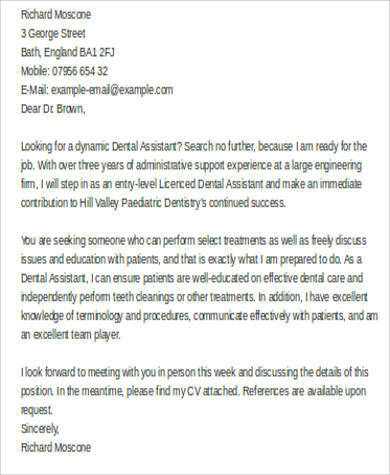 If you are looking to apply for a dental assistant position in a clinic or company, you can definitely make use of the cover letter templates in this article. You just have to choose the one that you think is the best fit for your own qualifications. Most of the templates available are in Word Document (.docx) format, which makes it easy to edit or replace the words to match it with your own qualifications. 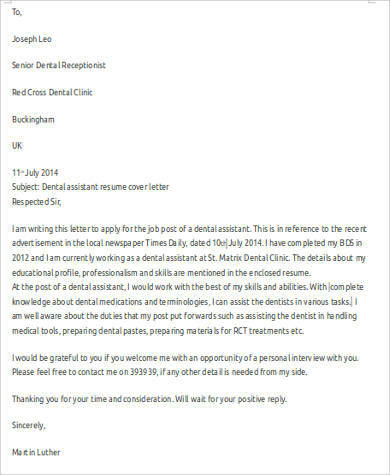 You may also use these templates as a guide should you opt to create your cover letter from scratch. 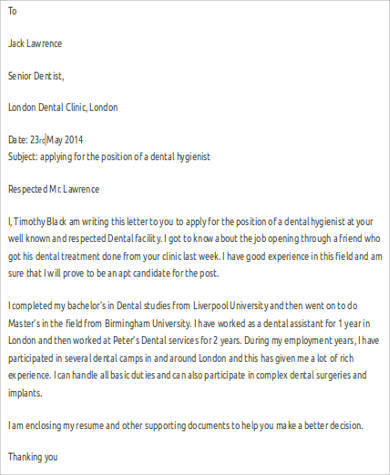 You may also refer to our Best Cover Letter Examples article to get more ideas on how you can draft an impressive cover letter.